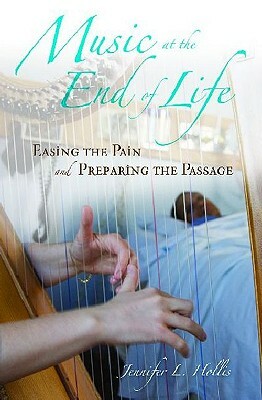 Reflecting on the author's experiences as a music-thanatologist, Jennifer Hollis's Music at the End of Life: Easing the Pain and Preparing the Passage is an enlightening and emotional examination of the ways in which the experience of dying can be transformed with music. Music at the End of Life highlights the unique role music has come to play in hospice and palliative medicine. Jennifer Hollis interweaves narrative memoir, the personal experiences of fellow music-thanatologists and caregivers, and extensive research to demonstrate the transformative power of music when curing is no longer an option. Through story after unforgettable story, Hollis offers a new vision of end-of-life care, in which music creates a beautiful space for the work of letting go, grieving, and saying goodbye. Jennifer Hollis is a music-thanatologist at the Lahey Clinic Medical Center in Burlington, MA, and is the president of the Music-Thanatology Association International.